WASHINGTON (AP) — It could be the beginning of the end for No Child Left Behind. The goal was lofty: Get all children up to par in math and reading by 2014. But the nation isn't getting there, and now some states are getting out. In a sign of what's to come, President Barack Obama on Thursday freed 10 states from some of the landmark law's toughest requirements. Those states, which had to commit to their own, federally approved plans, will now be free, for example, to judge students with methods other than test scores. They also will be able to factor in subjects beyond reading and math. "We can combine greater freedom with greater accountability," Obama said from the White House. Plenty more states are bound to take him up on the offer. While many educators and many governors celebrated, congressional Republicans accused Obama of executive overreach, and education and civil rights groups questioned if schools would be getting a pass on aggressively helping poor and minority children — the kids the 2002 law was primarily designed to help. The first 10 states to be declared free from the education law are Colorado, Florida, Georgia, Indiana, Kentucky, Massachusetts, Minnesota, New Jersey, Oklahoma and Tennessee. The only state that applied for the flexibility and did not get it, New Mexico, is working with the administration to get approval. Twenty-eight other states, the District of Columbia and Puerto Rico have signaled that they, too, plan to flee the law in favor of their own plans. The government's action on Thursday was a tacit acknowledgement that the law's main goal, getting all students up to speed in reading and math by 2014, is not within reach. The states excused from following the law no longer have to meet that deadline. Instead, they had to put forward plans showing they will prepare children for college and careers, set new targets for improving achievement among all students, reward the best performing schools and focus help on the ones doing the worst. Obama said he was acting because Congress had failed to update the law despite widespread agreement it needed to be fixed. "We've offered every state the same deal," Obama said. "If you're willing to set higher, more honest standards than the ones that were set by No Child Left Behind, then we're going to give you the flexibility to meet those standards." The executive action by Obama is one of his most prominent in an ongoing campaign to act on his own where Congress is rebuffing him. 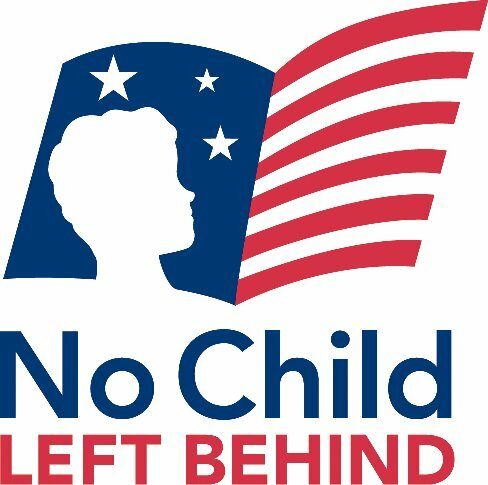 No Child Left Behind was one of President George W. Bush's most touted domestic accomplishments, and was passed with widespread bipartisan support in Congress. It has been up for renewal since 2007. But lawmakers have been stymied for years by competing priorities, disagreements over how much of a federal role there should be in schools and, in the recent Congress, partisan gridlock. The law requires annual testing, and districts were forced to keep a closer eye on how students of all races were performing — not just relying on collective averages. Schools that didn't meet requirements for two years or longer faced increasingly harsher consequences, including busing children to higher-performing schools, offering tutoring and replacing staff. Over the years, the law became increasingly unpopular, itself blamed for many ills in schools. Teachers and parents complained it led to "teaching to the test." Parents didn't like the stigma of sending their kids to a school labeled a failure when requirements weren't met. States, districts and schools said the law was too rigid and that they could do a better job coming up with strategies to turn around poor performance. A common complaint was that the 2014 deadline was simply unrealistic. As the deadline approaches, more schools are failing to meet requirements under the law, with nearly half not doing so last year, according to the Center on Education Policy. Center officials said that's because some states today have harder tests or have high numbers of immigrant and low-income children, but it's also because the law requires states to raise the bar each year for how many children must pass. The current law requires schools to use standardized tests in math and reading to determine student progress. The waivers announced Thursday do not excuse states from those requirements but instead give them the freedom to use science, social studies and other subjects in their measures of student progress. The 10 states also now can include scores on college admission exams and other tests in their calculation of how schools are performing. They can be excused from penalties included in the federal law but had to come up with their own set of sanctions for low-performing schools. For example, Georgia will replace the law's pass-or-fail with a five-star rating system and will use end-of-course tests and Advanced Placement performance in its measure of students. In Oklahoma, schools are to be taken over by the state if they consistently fail to meet standards. Kentucky — the first state to formally ask the federal government to be excused from some requirements when Gov. Steve Beshear sent a letter to Washington last summer — will use ACT college-entrance exams and other assessments by that company in its measures. The schools still have to focus on the subgroups of students outlined in the federal law, such as English language learners and students with disabilities. Not everyone applauded Thursday's announcement. While No Child Left Behind isn't perfect, said Jeanne Allen, president of the Center for Education Reform, it's thrown a valuable spotlight on problem schools. She said giving districts and states more flexibility "without firm consequence" is not reform. "If school district power were the answer to our education woes, our nation would be soaring high above the rest of the world in achievement. It is not, and it will not, until our leaders — just as the people they serve — face both rewards and sanctions for the education systems they govern," Allen said. Nancy Zirkin, executive vice president of the Leadership Conference on Civil and Human Rights, said, "Our coalition will continue to play an active role in holding all 10 of these states and the Department of Education accountable for our children." But some educators also said Obama's plan gives states flexibility with more clear and attainable goals. Gene Wilhoit, executive director of the Council of Chief State School Officers, said under the waiver plan states essentially have a contractual relationship with the federal government to deliver on the approved plan. "I think there is a legitimate concern or fear out there on the part of people that by giving these waivers, states might be 'let off the hook' in terms of accountability, and I think what you'll find is just the opposite," Wilhoit said. "They have raised the standards. They have put in place much more focused attention to the lowest performing, they have put in place professional development activities that didn't exist prior, and they are holding those schools much more accountable." In Colorado, Bridget Cole, a 4th grade teacher who was eating an egg salad sandwich with a group of student on a field trip to the Colorado state Capitol, said she was relieved to hear the news out of the White House. easier for me to see where my kids need to be rather than pay attention to what the federal government tells me my kids need to be," Cole said. While the president's action marks a change in education policy in America, the reach is limited. The populous states of Pennsylvania, Texas and California are among those that have not said they will seek waivers, although they could still do so. Some states might wait to see if Obama wins re-election November, said Jeffrey Henig, professor of political science and education at Teachers College, Columbia University. Others might bet the administration "won't be in a position to strongly clamp down on them for failure to meet progress goals that the administration has indirectly indicated it admits are unrealistic," Henig said. Education Secretary Arne Duncan said states without waivers will be held to the standards of No Child Left Behind because "it's the law of the land." Until now, the issue of education has stayed largely out of the presidential race. But Sen. Mike Enzi, R-Wyo., ranking member of the Senate committee with jurisdiction over education, said Obama was using education as a "political poker chip." "This action clearly politicizes education policy, which historically has been a bipartisan issue," Enzi said. "It is time for the president to work with Congress on important issues like this instead of acting unilaterally." And when Rep. John Kline, R-Minn., the chairman of the House Education and the Workforce Committee, released new legislation Thursday that would rewrite No Child Left Behind, it included a provision that prohibits the education secretary from coercing states into adopting specific academic standards in exchange for a waiver. Duncan maintained this week that the administration "desperately" wants Congress to fix the law. In an election year in a divided Congress, action on Capitol Hill appears unlikely.